 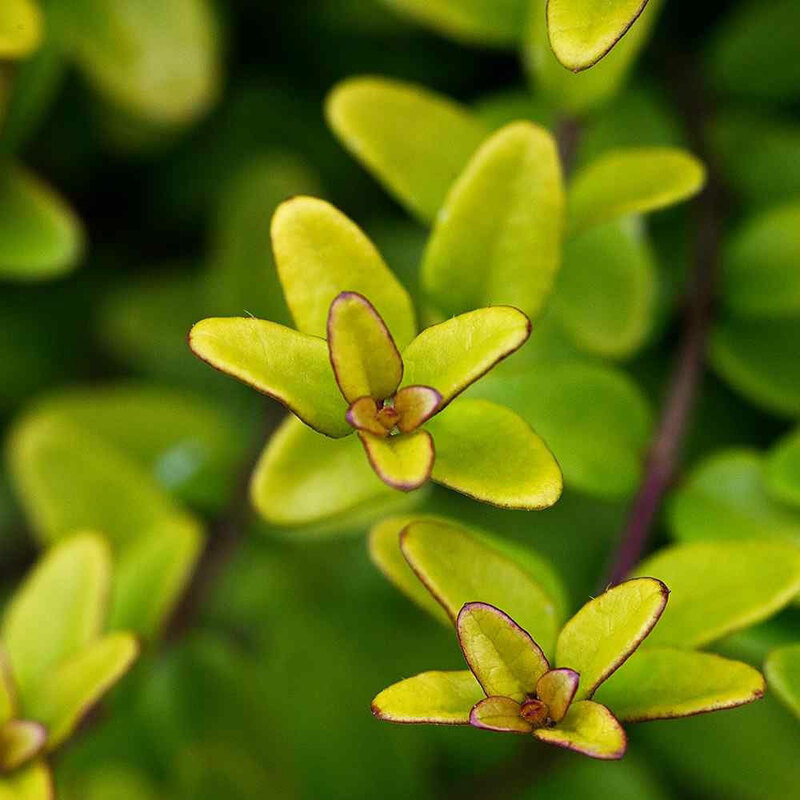 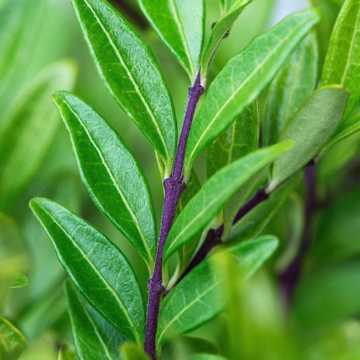 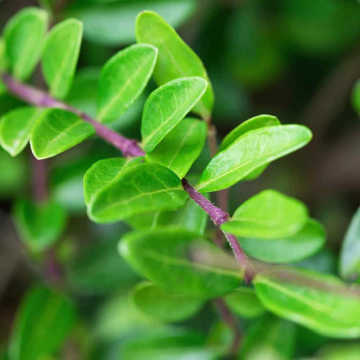 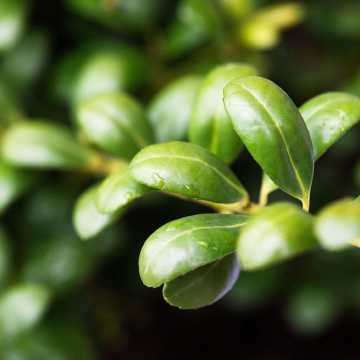 Aside from its leaf colour, this hedging plant is in all respects the same as Lonicera nitida. 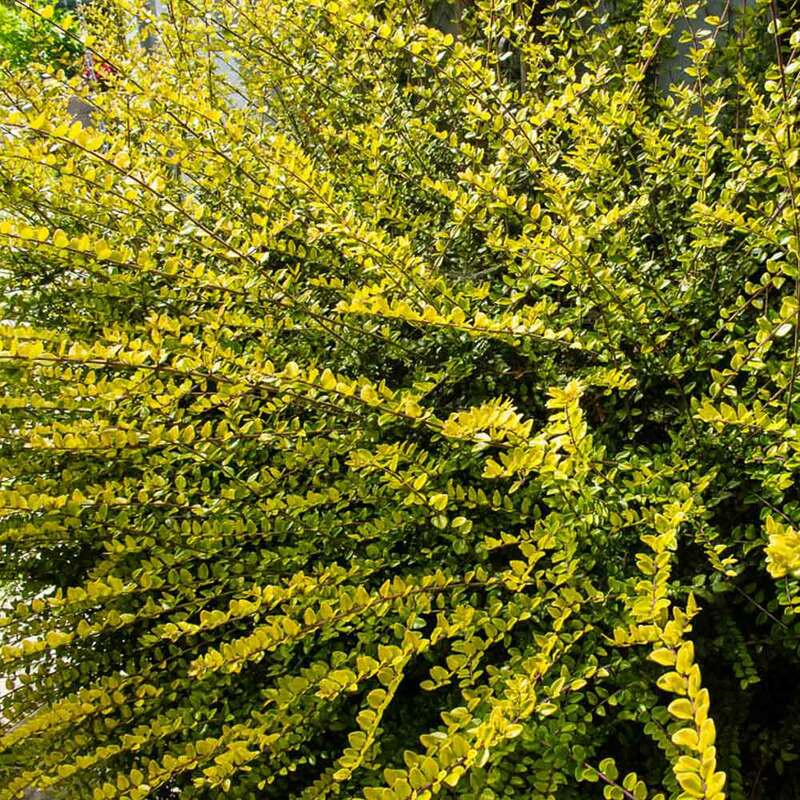 Its foliage is pale gold in summer and more bronzy in winter and for best summer colour it likes a sunny position, though it will still be golden coloured in partial shade. 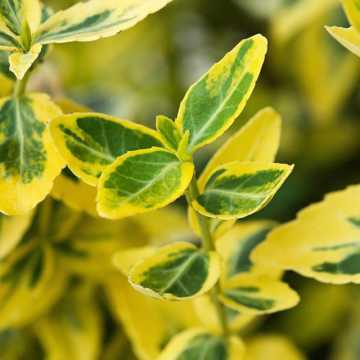 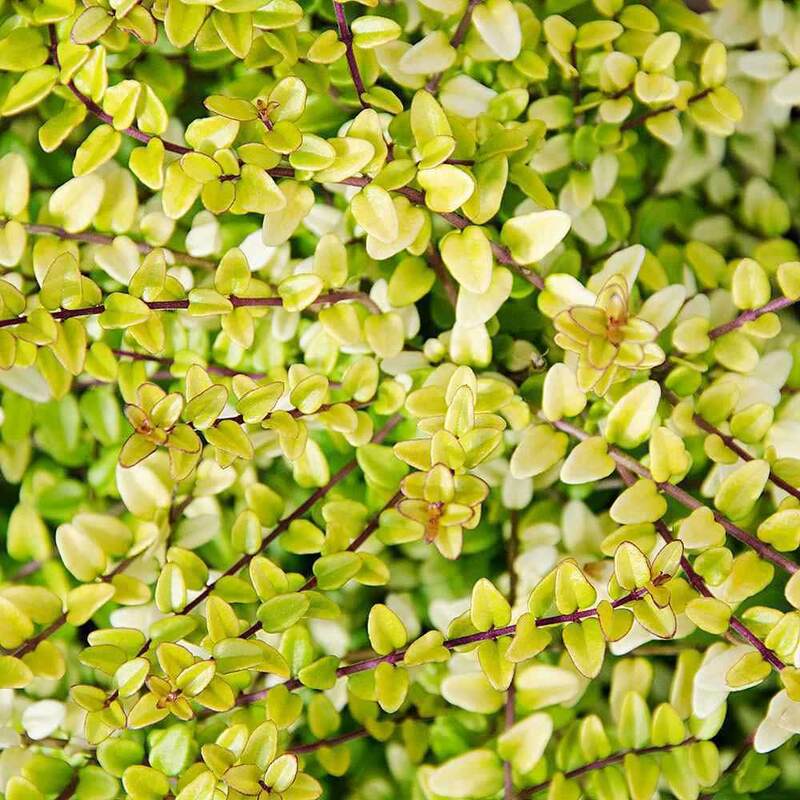 Plant Lonicera nitida Baggessen's 'Gold' with a number of plants from our evergreen section, as well as other hedging with colourful foliage to get a feature hedge full of interesting, year round colour. 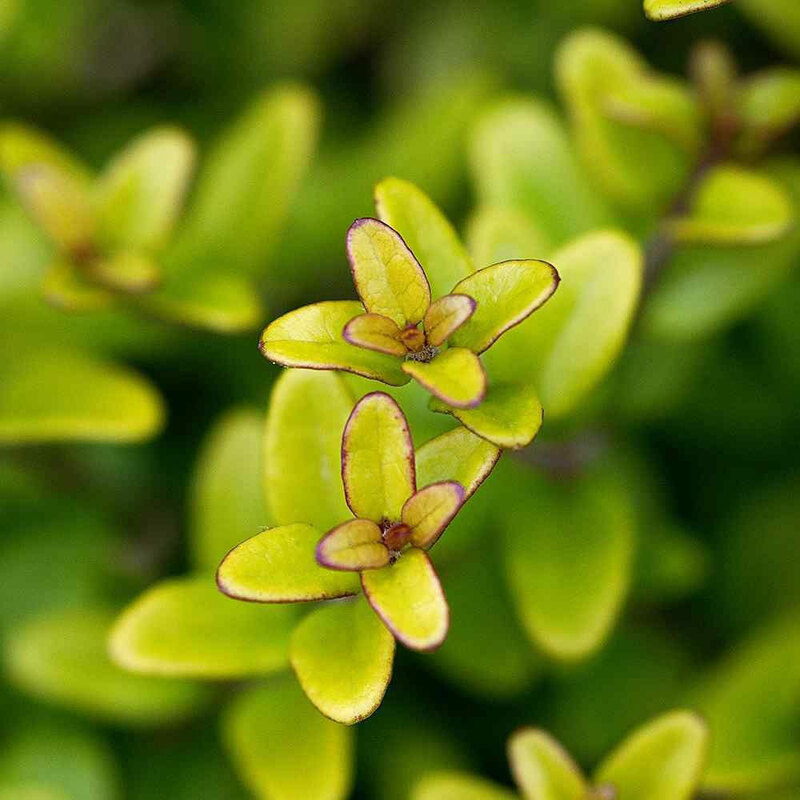 Lonicera Nitida Baggesens Gold should be pruned in Spring or early Summer after flowering. 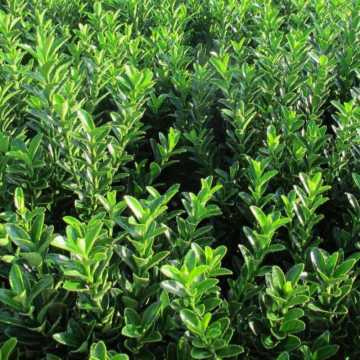 Damaged or dead shoots should be removed at this time along with any weak or spindly shoots to promote strong new growth.